Israeli Prime Minister Benjamin Netanyahu has said that if Iran is capable of developing nuclear weapons, it will become „infinitely more dangerous“ than North Korea. Speaking at the London-based think tank Chatham House on Friday, Netanyahu stressed Iran’s objective to „dominate the world,“ Arab News reported. The Israeli leader also underscored Iran’s support of Hezbollah in Lebanon, Yemen’s Houthis and Iraq’s Shiite militia groups. „The one potent force in militant Islam that has emerged is Iran. And it is devouring one nation after the other,“ Netanyahu said. „It is doing so either by direct conflict, or more usually by using proxies,“ Netanyahu told the crowd. He also pointed out he would not allow Iran to seize control over Syria by retaining militias, airbases close to his country or access to seaports, The Guardian reported. „They want to leave their army, their airbases, and fighter aircraft within seconds of Israel and we are not going to let that happen. We do not say that lightly. We mean what we say and we back it with action,“ he noted. Netanyahu’s penchant for visuals to illustrate Iran’s plans is reminiscent of his speech at the U.N. General Assembly on September 27, 2012, when he showed a comic book-like bomb graphic that described Iran’s nuclear program. At the time, he wanted to show Iran’s progress in acquiring materials to make a bomb, drawing a red line at the 90-percent threshold. 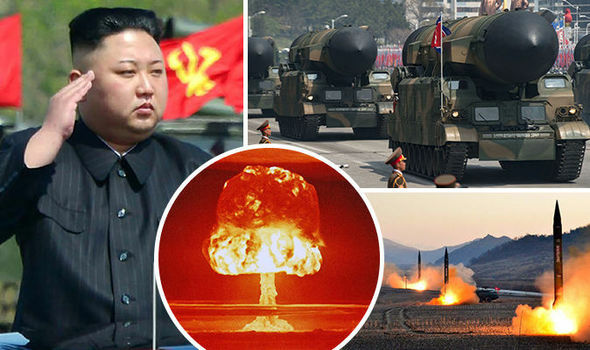 The explanation sparked confusion among nuclear experts, the Christian Science Monitor reported. As a result, Netanhayu’s views on Iran’s nuclear deal has been under scrutiny. An article by New Yorker last month indicated that many Israeli security professionals–including Uzi Arad, Mossad’s former head of research and head of Netanyahu’s National Security Council from 2009 to 2011–support upholding the deal. Last month, President Donald Trump threatened to decertify Iran’s compliance with the 2015 nuclear agreement because he felt „tired of being taken advantaged of as a nation,“ giving Congress 60 days to choose whether or not to reinstate sanctions that had been lifted under the deal, Politico said. The only way to locate and secure all of North Korea’s nuclear weapons sites „with complete certainty“ is through an invasion of U.S. ground forces, and in the event of conflict, Pyongyang could use biological and chemical weapons, the Pentagon told lawmakers in a new, blunt assessment of what war on the Korean Peninsula might look like.The Pentagon, in a letter to lawmakers, said that a full discussion of U.S. capabilities to „counter North Korea’s ability to respond with a nuclear weapon and to eliminate North Korea’s nuclear weapons located in deeply buried, underground facilities“ is best suited for a classified briefing. 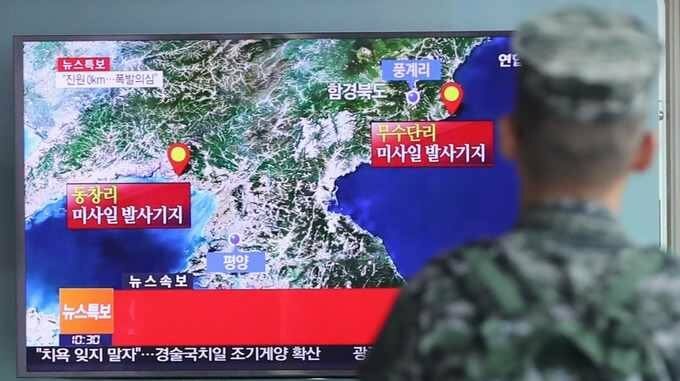 The letter was written by Rear Adm. Michael J. Dumont, the vice director of the Pentagon’s Joint Staff, in response to a request for information from two House members about „expected casualty assessments in a conflict with North Korea,“ including for civilians and U.S. and allied forces in South Korea, Japan and Guam. 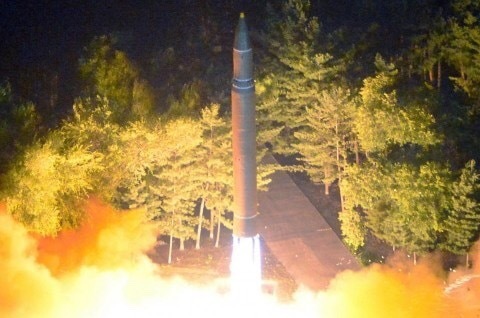 The Pentagon said that calculating „best- or worst-case casualty scenarios“ was challenging and would depend on the „nature, intensity and duration“ of a North Korean attack; how much warning civilians would have to get to the thousands of shelters in South Korea; and the ability of U.S. and South Korean forces to respond to North Korean artillery, rockets and ballistic missiles with their own retaliatory barrage and airstrikes. Elite U.S. forces have long trained to respond in the case of a so-called „loose nuke“ in the hands of terrorists. But senior officials said SOCOM is increasingly focused on North Korea. In contrast, President Trump, who goes unmentioned in the Pentagon letter, has taunted Kim as „Rocket Man“ and expressed frustration with diplomatic efforts, hinting that he is considering preemptive military force. On Oct. 7, Trump added in additional tweets that North Korea had „made fools“ of U.S. negotiators. „Sorry, but only one thing will work!“ he said. Mattis and other Pentagon leaders have often cited the grave threat faced by Seoul, but the military much less frequently draws attention to its plans for an underground hunt for nuclear weapons. A senior U.S. military official in South Korea, speaking on the condition of anonymity to discuss ongoing operations, said that while the 28,500 U.S. troops in South Korea maintain a high degree of readiness, he „has to believe“ that North Korea does not want a war, given all of the nations aligned against it. A statement by 16 lawmakers, released simultaneously with the Pentagon letter, urged Trump to stop making „provocative statements“ that impede diplomatic efforts and risk the lives of U.S. troops. The Pentagon’s „assessment underscores what we’ve known all along: There are no good military options for North Korea,“ said the statement, organized by Lieu and Gallego and signed by 14 other members of Congress who are veterans, all but one of them Democrats. In a telephone interview, Lieu said that the intent of asking the Pentagon for information was to spell out the cataclysmic consequences of war with North Korea and the aftermath. „It’s important for people to understand what a war with a nuclear power would look like,“ said Lieu, citing estimates of 300,000 dead in the first few days alone. More than 100,000 Americans are potentially at risk. Lieu, who spent part of his time in the Air Force on Guam preparing for military action against North Korea, called the letter a confirmation that a conflict would result in a „bloody, protracted ground war.“ The Joint Chiefs, he believes, are „trying to send a message to the American public,“ he said. Gallego said that he wanted information because of what he sees as a cavalier attitude in the White House about military action in North Korea. The idea that a ground invasion would be needed to secure nuclear weapons is eye-opening, he said, and raises the possibility of the U.S. military losing thousands of troops. The fresh warning to the US comes as Donald Trump is due to arrive in Japan today for the first stop off of his Asia tour. Tensions over North Korea’s nuclear and missile threats continue to loom large over the region, with officials able to do little more than to sit and wait for Kim Jong-Un to launch the next missile test. And President Trump has been accused of inflaming the situation with his war of words with the despot, after threatening to “totally destroy” North Korea despite calls for officials to remain calm to avoid antagonising the hermit kingdom. Now in a shocking announcement today, Pyongyang vowed it would never back down as the regime revealed it is actually in „the final stage for completing nuclear deterrence“. 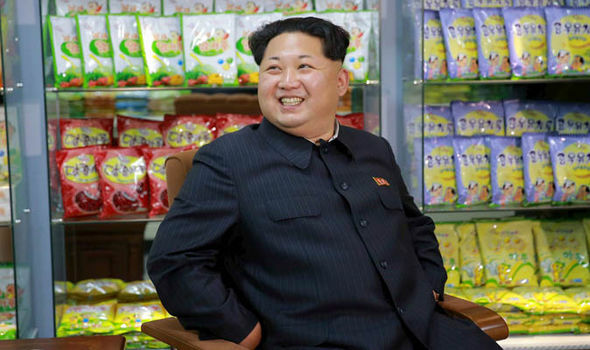 The North’s state-run KCNA news agency said in a commentary that the US should be disabused of the „absurd idea“ that Pyongyang would succumb to international sanctions and give up its nuclear weapons. The commentary titled ‘Stop dreaming a daydream’ read: ”It had better stop daydreaming of denuclearisation talks with us. Along with trade talks, President Trump’s trip to Asia over the coming days will largelyfocus on how to muster more international pressure on North Korea to give up nuclear weapons. Speaking to reporters at the White House on Friday, he said: ”We’ll be talking about trade. We’ll be talking about obviously North Korea. “We’ll be enlisting the help of a lot of people and countries and we’ll see what happens. The president has rattled some allies with his vow to „totally destroy“ North Korea if it threatens the United States along with his dismissal of North Korean leader Kim Jong Un as a „rocket man“ on a suicide mission. Sweden has 65,000 nuclear shelters. Now, in the era of Trump, it wants more. Scandinavia may not be right in the path of a future nuclear exchange between the United States and North Korea, but given the latest threats between the two countries and rising concerns over Russian military exercises, it’s not taking any chances. Last month, the Norwegian Nobel Committee handed a group dedicated to abolishing nuclear weapons its Peace Prize. Now, the Swedish government is looking into expanding its existing network of nuclear fallout shelters, according to news website the Local. A first proposal was included in a report released several weeks ago and followed a review of existing shelters this year, Swedish officials confirmed Friday, saying that the proposed changes were still under consideration by the government. Sweden has 65,000 shelters, which would provide space for up to 7 million people, but that leaves an estimated 3 million inhabitants without protection. At least one European country takes the risk of a nuclear war even more seriously: Switzerland may have fewer people than Sweden, but it has built about four times as many nuclear shelters — easily enough for the country’s entire population and then some. In Sweden and elsewhere, the nuclear shelters are also supposed to protect the population from other hazards, like a biological weapons attack or more-conventional warfare. Often located in publicly accessible buildings, such as schools or shopping centers, they can usually also be used as storage sites or garages and are funded with taxpayer money.. In contrast, in Switzerland all houses above a certain size must include shelters in the basement, putting the financial burden on citizens themselves. That rule was abolished in 2011 by the Swiss parliament, but reintroduced months later after the Fukushima nuclear accident in Japan. The accident brought back memories of Chernobyl in 1986, and led to a renewed public debate in Europe over the risk of radiation. In Germany — where public shelters are far less common than in Sweden or Switzerland — Chancellor Angela Merkel decided to abandon nuclear energy entirely, despite having championed it for decades. It was her biggest political U-turn in her now 12 years in office. Such preparations and protective measures may appear strange to Americans. Public nuclear shelters are practically nonexistent in the United States, although there have been recent reports of an increase in demand. Until recently, few Swedes knew the location of the closest nuclear shelter in their neighborhood. (The government now offers an online map.) Sweden stopped expanding its shelter network almost two decades ago, when nonproliferation supporters appeared to be on the winning side of history. Then came Iran’s nuclear program, the Fukushima accident, Russian military operations, North Korea’s missile tests — and President Trump. Whereas confidence among Europeans that President Barack Obama would „do the right thing regarding world affairs“ ranged between 70 and 90 percent in a number of surveyed nations during his term, those numbers plummeted after Trump’s inauguration and have only gone down since. Only 7 percent in Spain and 11 percent in Germany now say they have confidence in Trump. Top officials in Germany have also directly contradicted Trump’s North Korea policies, and have voiced concerns that the White House may overreact to nuclear provocations and escalate the war rhetoric being exchanged with North Korea. Europeans are similarly worried that decades-long nonproliferation efforts could be dismantled virtually overnight, leading to a new arms race. In 2009, the Obama administration negotiated a treaty with Russia in which both countries agreed to cap the number of deployed warheads. Trump reportedly called the agreement a bad deal in his first phone call with Russian President Vladimir Putin earlier this year, although administration officials have since backtracked. Sweden’s new shelter locations indicate that at least some of the concerns are connected to Russia. One of the regions where most new shelters are expected to be constructed in the coming years is the island of Gotland, where military defenses were recently expanded with the declared aim of stopping a possible Russian invasion.